Appeal of ex-receiver in charge of Rosneft subsidiaries to be reviewed | Russian Legal Information Agency (RAPSI). 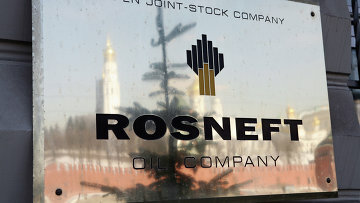 MOSCOW, July 6 (RAPSI) – The Presidium of the Moscow City Court has ruled to once again review an appeal over actions of investigators against Oleg Smetanin, the former bankruptcy commissioner of several Rosneft subsidiaries, charged with embezzlement of 300 million rubles ($5.3 million), RAPSI correspondent reports from the courtroom. Smetanin appealed the ruling of Moscow’s Tagansky District Court that upheld the investigators’ decision not to conduct medical examination of the defendant. Prosecutors also demanded to grant Smetanin’s appeal. Investigators believe that Smetanin and other defendant Sergey Bogdanov had forged some documents; as a result, a paper debt amounting to 3.2 billion rubles (about $ 57 million at the current exchange rate) was registered with a Rosneft subsidiary. According to Russia’s Interior Ministry press-service, the defendants used the forged documents to transfer 300 million rubles to the accounts of a dummy company. Later, they cashed out and embezzled the money, the press-service noted. Both Smetanin and Bogdanov are charged with embezzlement.